Southern Filters are proud to offer all customers a quick and reliable delivery service! Unlike the majority of websites nowadays that have lots of different shipping costs, options, exceptions etc, we like to keep it simple with DPD next day service. Order before 2pm and we'll aim to dispatch your order the same day, Monday to Friday*. 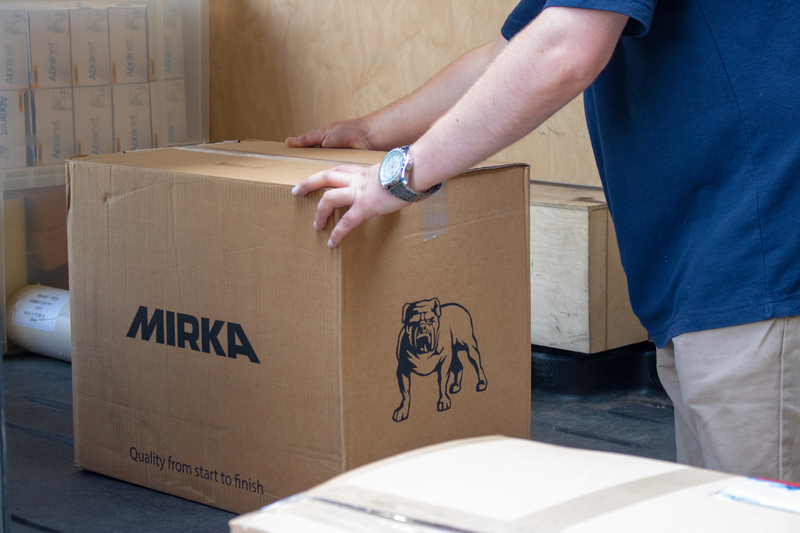 Our fast next day delivery service is free on orders over £150 exc vat. Next day service - Avaliable to mainland UK customers only. Orders under £150 exc vat will incur a £7.95 delivery charge. Order before 2pm and we'll aim to dispatch your order the same day, Monday to Friday, for next day delivery**. Tired of missing your deliveries or waiting in all day? DPD offer a free of charge service, which will give you a 60 minute delivery time slot via text and/or email. In order to take advantage of this service please include your mobile number and email address. If the time slot given doesn't suit you then you can easily rearrange a time and date that suits your better or get it redirected to a local drop off center for you to collect whenever's convenient. We are currently unable to offer an international delivery service from our website. However, we welcome all enquiries and we will do all we can to meet your requirements. Please email enquiries@southernfilters.com for international delivery rates. Our standard delivery service will only be delivered Monday to Friday. However, we are able to offer Saturday and Sunday delivery services to suit you. If you require a weekend delivery please call us on 01297 33860 to discuss. If you cant find what you are looking for, we have and are able to order other items. If you would like us to quote on non stocked items, or you are considering making a bulk order, please contact a member of our team to discuss details. There will be times when we are out of stock on particular products, if this happens you will receive an email from a member of staff advising you of a timescale. Due to selling over 5 million products, we don't keep all items on our shelves. Several of our items, especially sanding belts, are made to order. Please check the product listing on estimated delivery times. Some products will get shipped direct to you from the manufacturer. Currently we are unable to send you tracking codes for you to track your parcel yourself, however, if you would like us to track it for you please don't hesitate to contact us. Please inspect your goods as soon as they arrive. In the unlikely event of any damages please email enquiries@southernfilters.com with photographic evidence within 24 hours of delivery. We shall be under no liability to you for loss or damage, direct or indirect as a result of defective or incorrect goods. We're committed to selling high-quality products, however we also know that there are times when you need to return a item purchased from us. Before returning any products, please call a member of our team on 01297 33860. They will explain the options available for returning an item, depending on the size and weight. Options include; returning it to us in person, collection via courier or smaller items can be posted back to us. If it is less than 7 days since your purchase then you can return it to us providing it is unused, unopened and in the original packaging with all of the component parts. Carriage charges for unwanted returns will be at your expense. Please ensure that all items are well packed and that a copy of your invoice is included. Please ensure you use a trackable service with adequate compensation, all goods must arrive in saleable condition in order to be fully refunded. Please note you will be subject to a 20% restocking fee. If the goods are faulty please contact us to arrange a return and refund or a repair. If the contents of your delivery differ from what you were expecting or what appears on your invoice, please notify Customer Services as soon as possible within 7 days of purchase.Please tell us what items you expected to receive and the items you actually received. Our team will get back to you with a returns number and return address. DPD offer a nationwide, next working day delivery service for most of the U.K. Mainland and a 2 working day service on hard to reach areas, i.e. Highland Scotland & Off-Shore Islands. *We aim to dispatch all orders received before 2pm on the same business day, during busy periods this can extend to up to 3-4 days for dispatch. Same day dispatch is dependent on stock levels and is only available on stocked items. - Please contact us prior to ordering to check. **Next day delivery is dependent on stock levels and is only available on stocked items. - Please contact us prior to ordering to check.